Was Van Gogh's The Starry Night inspired by Hokusai's The Great Wave off Kanagawa? 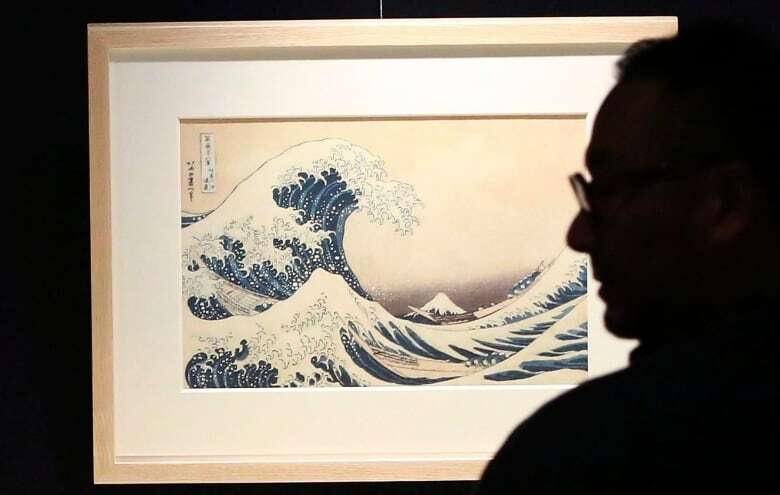 A year before Vincent van Gogh created his most famous painting, he saw Katsushika Hokusai's The Great Wave in Paris and wrote about its powerful imagery. When Vincent van Gogh painted The Starry Night, he was likely inspired by Japanese artist Katsushika Hokusai's The Great Wave off Kanagawa, an art researcher says. 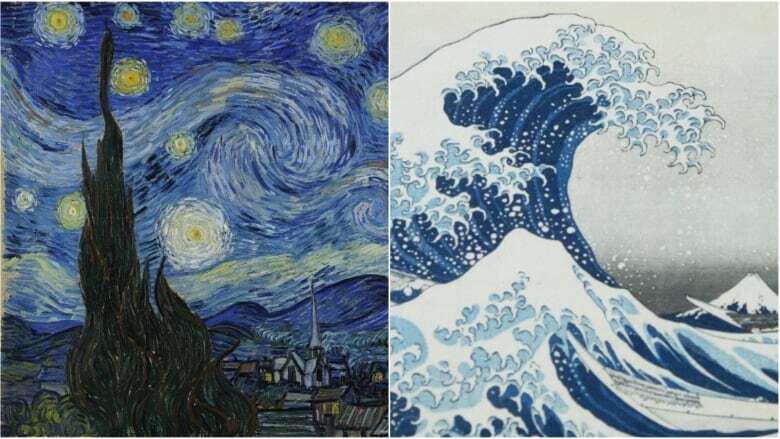 "Looking at the two works side by side, I think one must conclude that it's highly likely that The Great Wave played a role in influencing van Gogh when he did his Starry Night," Martin Bailey, a van Gogh specialist and arts journalist, told As It Happens host Carol Off. "We have two greats works of art there." 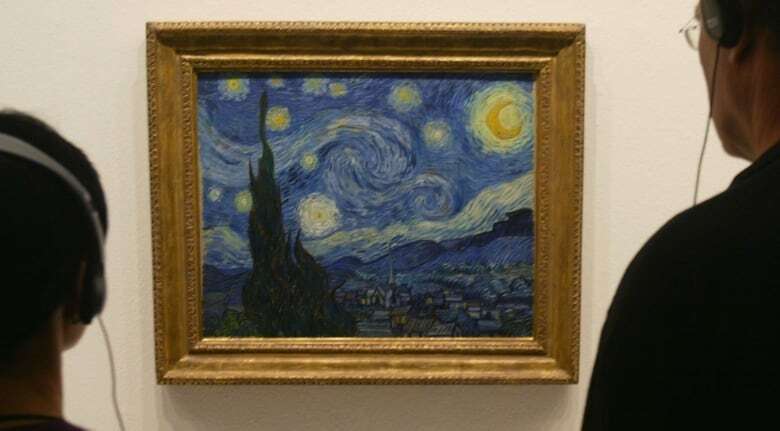 There has been speculation of a link between the two works before, but Bailey, a reporter at the Art Newspaper and author of Starry Night: Van Gogh at the Asylum, believes his research is the first deep dive into the possible connection. He will present the theory at the Cheltenham Literature Festival on Oct. 5. Painted sometime between 1829 and 1833, The Great Wave off Kanagawa is considered one of the greatest pieces of 19th-century Japanese art. It features powerful white-capped waves towering over Mount Fuji in swirling patterns and deep blue hues that Bailey says are reminiscent of van Gogh's vivid painting of the starlit sky over the Provence region of France. Van Gogh, he said, once caught a glimpse of The Great Wave and wrote about it in a letter to his brother Theo ​on Sept. 8, 1888: "These waves are claws, the boat is caught in them, you can feel it." "Van Gogh, when he wrote that letter, he didn't actually have the print. He'd seen it in Paris a few months earlier, but he obviously remembered it very vividly because of the way he's described it," Bailey said. "And he was a great admirer of Hokusai, and indeed of Japanese prints in general." AS IT HAPPENS: Can you spot the dead grasshopper in this Van Gogh painting? 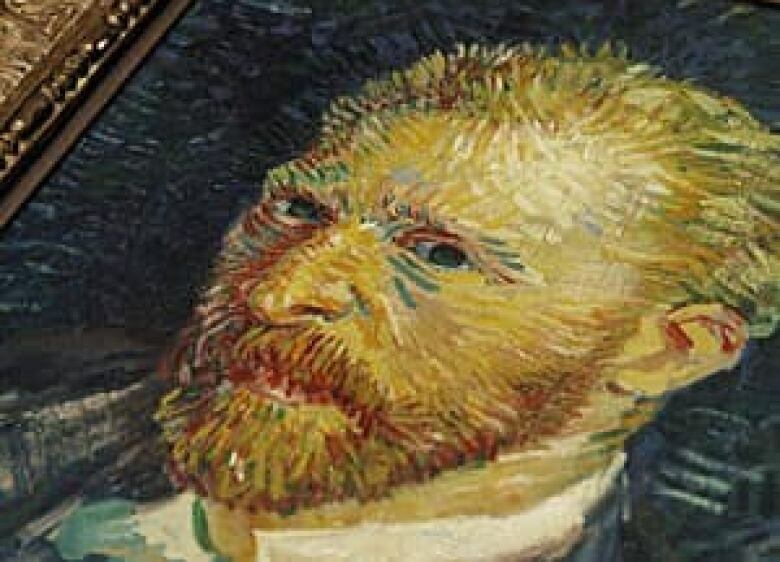 Japanese prints sometimes appeared in the backgrounds of van Gogh's later self-portraits, Bailey said, and when he died, he had more than 500 Japanese works in his personal collection. "In van Gogh's day, the colours must have appeared so strong and they must have appeared so different from conventional European art, so it was really quite an avant-guarde thing at that time." It's not known he ever owned a print of The Great Wave off Kanagawa. It was the summer of 1889 when van Gogh painted The Starry Night in a mental asylum on the outskirts of Saint-Rémy-de-Provence. "Van Gogh had a very strong visual memory and he was able to remember images that he'd seen in a very strong way," Bailey said. "So if he'd seen something months ago, he could still remember it and it was an inspiration and it was in his mind when he was working on Starry Night." Bailey said he believes Hokusai was just one of many inspirations the Dutch artist may have drawn upon. "He worked from his imagination. He wasn't a simple artist and there were all sorts of things that would come together in his mind, so I'm not suggesting it's the main motive for doing the picture," he said. "If one's looking for the main reason he did the picture, I think he would look up into the heavens and he would see the stars and that was really what inspired him most of all to do this wonderful work of art." Written by Sheena Goodyear. Interview produced by Ashley Mak.